Grand medieval King costume for hire. Great for a fairy tale fantasy or Game of Thrones Party, and could be used for King Robert Baratheon or King Arthur. 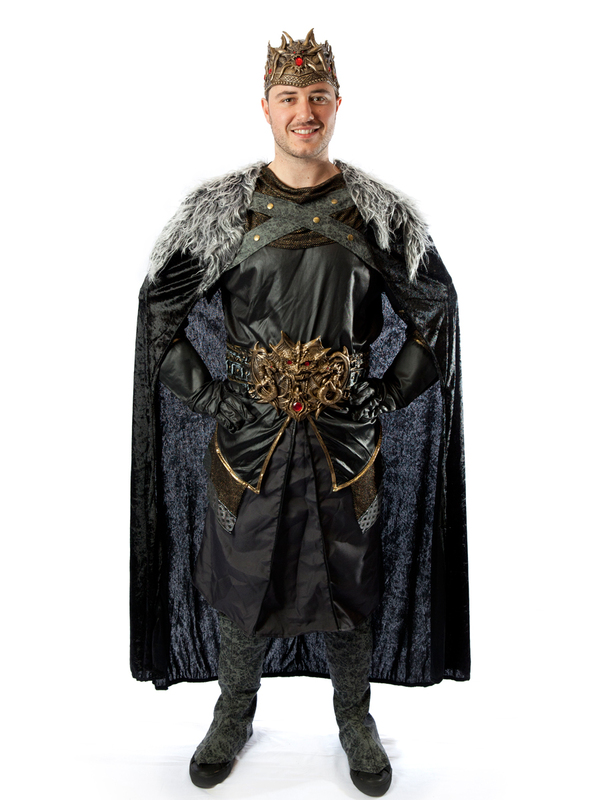 Costume includes tunic, pants, cloak, gloves, boot covers and crown.